Culture | Youth cafe – a combination of incongruous. Youth cafe – a combination of incongruous. The light interior beauty has a long stay. An integral part of the beauty big posters photo with models.Often the design of lamps used in the cafe is an essential element of the interior and becomes a feature of the cafe. 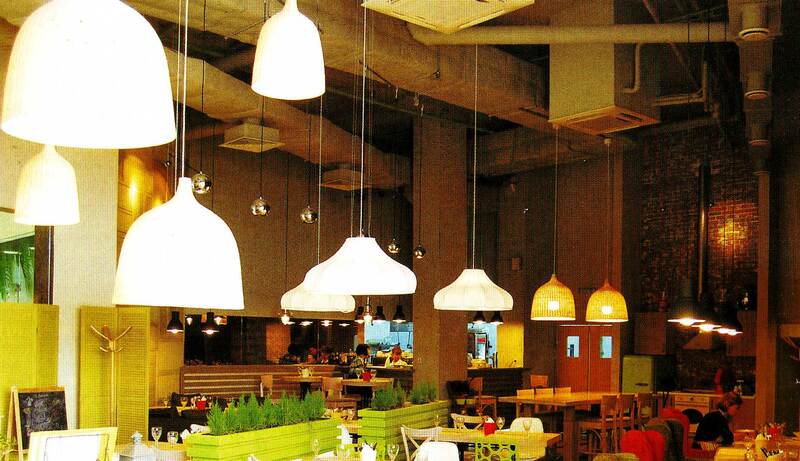 In this cafe lights are lowered to the table and by the light does not give visitors to focus on the ventilation system on the ceiling.